I wrote this piece for the Dallas Morning News. It was published June 16, 1997. 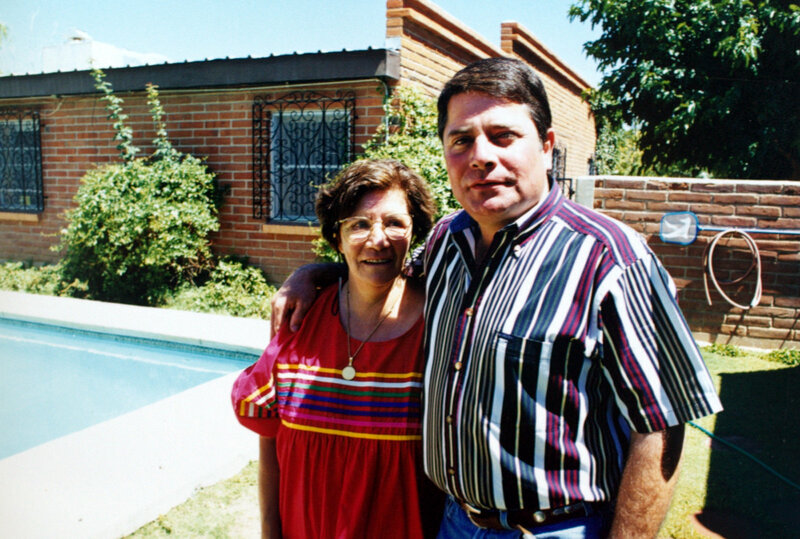 AGUA PRIETA, Mexico – American agents call him one of Mexico’s top 20 drug barons. A shadowy figure, they say. Age and eye color unknown. Nationality and birthplace a mystery. Vicente Teran Uribe, the leading candidate for mayor in this sweltering border town, said he can’t understand all the fuss. “I’m not a drug trafficker. I’m a businessman and I have nothing to hide. And if they want to know what I look like, just give them this,” he said, handing over a campaign brochure featuring a color portrait of the candidate, staring straight ahead with green eyes and a hint of a smile. A Drug Enforcement Administration report titled “Mexico’s Top Echelon Traffickers” describes Mr. Teran as a “member of a large cocaine distribution organization based in Agua Prieta and Hermosillo,” the capital of Sonora state. “Cocaine-laden aircraft that originate in Colombia are reported to land on Mexican airstrips at ranches allegedly owned by Teran Uribe,” the May report said. “Teran Uribe also is believed to be involved in large-scale money laundering. ” But in Agua Prieta, a dusty city of 56,289 people across the border from Douglas, Ariz., many townspeople look up to Mr. Teran. “He cares, and if you need something, he’ll try to help,” said truck driver Benjamin Martinez, 44. Some U.S. drug analysts are alarmed by the Teran case, saying he is one of many Mexican drug suspects who are working their way into positions of ever greater political and financial power. “To have total control over a city, you need to have everybody on the payroll,” said Phil Jordan, former director of the El Paso Intelligence Center, run by the DEA, FBI and other agencies. “Corruption continues to be rampant. ” Mr. Teran, 41, scoffs at that, saying he’s the victim of overzealous, uninformed drug agents. “Do you know what the mayor of Agua Prieta makes? Eight hundred dollars a month,” he said. “I’m only doing this to serve the people. ” Also listed by the DEA as among Mexico’s top 20 traffickers were five members of the notorious Arellano Felix family, suspected of being bosses of one of Mexico’s most powerful drug gangs; three members of the Amezcua Contreras family, suspected smugglers of methamphetamine and cocaine; and Amado Carrillo, nicknamed “Lord of the Heavens” for his pioneering use of aircraft. The DEA declined to say why the list contained such sketchy information on Mr. Teran. Such basics as place of birth, nationality and eye color all are listed as unknown. “We have nothing more to say,” a DEA spokesman said. “We don’t comment on these investigations. ” The DEA may not know much about Mr. Teran, but the candidate, a member of the ruling Institutional Revolutionary Party, or PRI, is now favored to win the July 6 mayor’s race in Agua Prieta. In a recent University of Guadalajara poll, 52 percent of those surveyed said they would vote for him. His nearest rival, a member of the conservative National Action Party, or PAN, got only 20 percent. PAN leaders concede that Mr. Teran is going to be tough to beat. And in a country where mud-slinging is common, they treat him with uncharacteristic respect. “Vicente Teran is a good man,” said Roberto Proano, an Agua Prieta accountant and PAN member who is running for federal deputy. “He has many admirers. ” But like many in Agua Prieta, Mr. Proano won’t talk about the drug allegations. “As you Americans say, I have no comment,” he said. Some say locals don’t talk out of fear of Mr. Teran. The candidate laughs at that idea and says the accusations against him are lies. “I detest drug trafficking,” he said. “If I were president of Mexico, I’d push for the death penalty for mafia members. And if they arrest me and prove I’m a mobster, go ahead and put me in the electric chair. 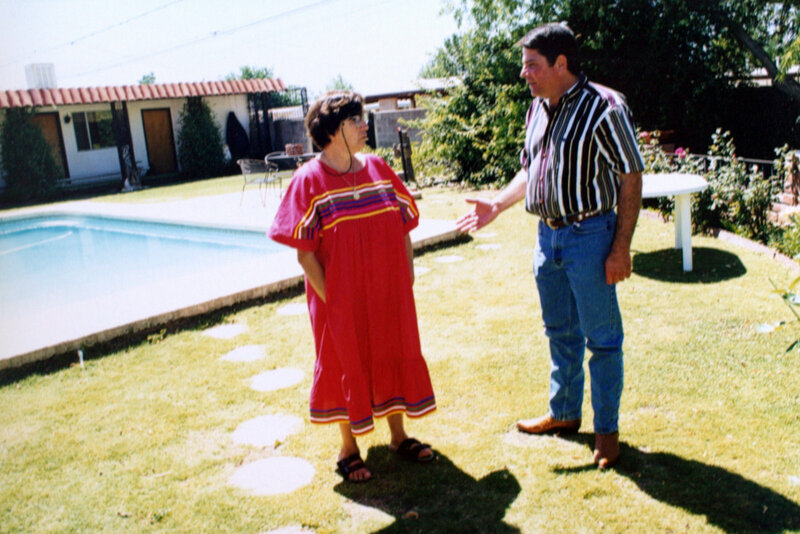 ” Mr. Teran lives in a stylish ranch house on a quiet, unpaved street. A steel fence and the glare of a pudgy Rottweiler keeps intruders out, but there are no bodyguards in sight. No teenage lookouts on nearby corners. No tough guys with AK-47s. “Does this look like the house of a drug trafficker? ” Mr. Teran asked. “If I’m a drug trafficker, how is it possible that I haven’t been arrested? A lot of people see that someone has money and new cars and they assume they’re mobsters. “People are envious. They can’t forgive me for being successful. ” Mr. Teran, a native of Mexico City, said he started making money early on, working as a fumigator at 17. He said he drove around Sonora state in a company Volkswagen bug decorated like a mouse and sprayed customers’ homes for cockroaches and other pests. Before long, his uncle, Hector Teran, helped him buy his own wheels to start his own company. “He came over to the house and stuck a check on the bathroom mirror with a piece of gum and he left a note. It said, `Here’s money for your car. If you do well in your new job, then pay me back. If you don’t, don’t worry,’ ” Mr. Teran recalled. He was a natural salesman, and within a few months, he said, he had enough money to pay back his uncle, now governor of neighboring Baja California state. That same year, Mr. Teran married his high school sweetheart, Irma, and he was on his way. Tragedy hit four years later when his father, a noted commercial artist named Vicente Teran, died of heart trouble. By then the younger Mr. Teran had dropped out of school and was working full time. “I took charge of the family,” he said. Among those he looked after were two brothers, Jose, now a Tucson, Ariz., architect; and Bernardo, a history professor; and three sisters, Monica, Claudia and Patricia. Monica, who runs the Green Street Inn, a restaurant in Douglas, Ariz., recalled that her brother was a hard worker, but never liked school much. “He would always learn things differently, not by reading books, but by doing,” she said. “He’s always been going nonstop. He never gives up. Whatever he’s wanted to do, he’s accomplished. ” By the early 1980s, Mr. Teran switched from killing insects to installing satellite TV dishes. He said he spent 21/2 years as an installer before founding Satellite Imports of Mexico in December 1984. “At first, people didn’t buy satellite dishes because they were too new. They didn’t know what they were, how they worked. But then the business really took off,” he said. He said he spent nine years as a satellite dish wholesaler, making as much as $2,000 on every dish sold. “I brought the first satellite dish to Mexico. I was the biggest satellite dish seller in the country. Some weeks I sold as many as 500 satellite dishes,” Mr. Teran said. With his earnings, he bought thousands of acres of ranch land in Sonora and raised cattle. About two years ago, he said, people started gossiping about him, accusing him of being a drug trafficker. He said the allegations made him so upset that he considered suicide. But what he wants most is to clear his name. So he said he destroyed the airstrips on his ranch land so that no one would accuse him of letting traffickers land there. “I don’t even buy lottery tickets, because if I win, people will say, `See, he’s rich. He must be a mafioso. ‘ ” He has a small plane and keeps it in Douglas. “Have a look,” he said, pushing open the hangar door. “It’s a [single-engine] Cessna 182. Now if I were really a drug trafficker, don’t you think I’d have a bigger plane? ” Mr. Teran has not been charged with a crime in the United States. He holds a U.S. border crossing card, is on a first-name basis with many Customs inspectors in Douglas, and travels across the international boundary at will. He has not been charged in Mexico, although dozens of Mexican federal police raided his home on June 28, 1995, looking for cocaine or weapons. “They didn’t find anything. No drugs, no guns. Nothing,” Mr. Teran said. “They told me, ‘You can smell it when it’s a decent house. ‘ ” Some months after the raid, Mr. Teran said, two FBI special agents visited his home in Agua Prieta and warned him that Amado Carrillo, suspected of being a cocaine boss, planned to send hit men to kill him. Mr. Teran said that scared him and his family. “I don’t even know Amado Carrillo. I’ve never met him in my life,” he said. An FBI agent in Sierra Vista, Ariz., confirmed that he visited Mr. Teran but said he couldn’t talk about it. Mr. Teran’s mother, Celia, who lives in Douglas, said she just wishes the authorities would leave her son alone. “I didn’t raise any of my kids to get involved in drug trafficking,” she said. “I hate drug traffickers. I’m not even capable of killing a chicken, but I would kill a mafioso. ” Mr. Teran said he only wants to get on with his life – and win the mayor’s race.